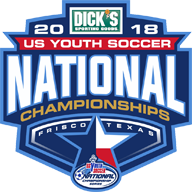 FRISCO, Texas (July 13, 2018) — US Youth Soccer is proud to announce the schedule for the 2018 US Youth Soccer National Championships, to be played July 24-29 at the Toyota Soccer Center in Frisco, Texas. The 96 qualifying teams will play preliminary matches Tuesday, July 24 through Thursday, July 26 to determine who will advance in the pursuit for the National Championship. Following a day of rest on Friday, July 27, 13U and 19U title games will take place on Saturday, July 28. The 14U through 18U teams will play semifinals on Saturday morning before crowning the National Champions on Sunday, July 29. The National League consists of 14U through 18U boys and girls teams, all of which qualified for league play through success in their respective US Youth Soccer Regional Leagues and US Youth Soccer Regional Championships. 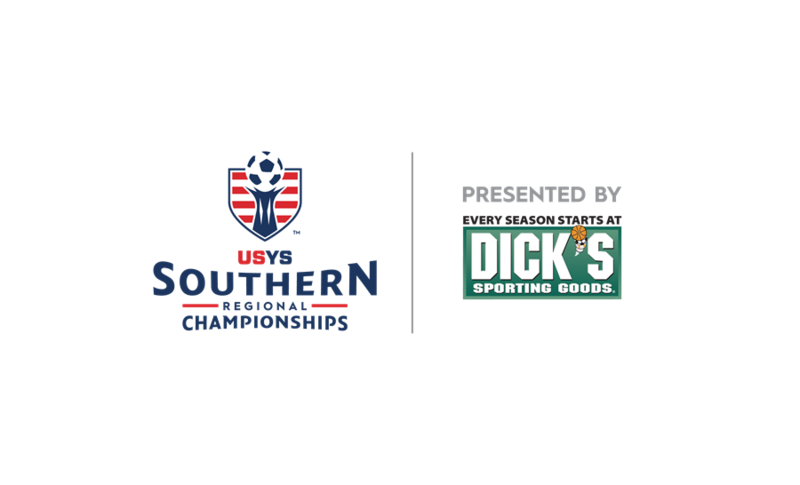 Established in 2007, National League teams have captured a combined 54 of a possible 78 US Youth Soccer National Championships in the league’s ten years. For all teams competing in the National Championships, the annual Player Luncheon will be held July 23 at the Hilton Anatole in Dallas. The luncheon serves as the kickoff to the weeklong event highlighting the achievements of these national qualifiers. Round robin match times are scheduled for 7 a.m., 9 a.m., 11 a.m. and 1 p.m. on the opening day of play, with preliminary games continuing through Thursday. Teams will earn three points for a win, one point for a tie and no points for a loss. The teams with the most points at the conclusion of Thursday’s play in the 13U and 19U age groups will advance to play for the National Championship on Saturday, July 28. In the 14U through 18U age groups, the top two teams in each group move on to semifinals for a chance to earn a place in their respective National Championship final on Sunday, July 29. The James P. McGuire Cup final will begin at 7:45 p.m. CT on Saturday, July 28 to determine the 19U Boys National Champion. The James P. McGuire Cup is the oldest trophy in youth sports, dating back to 1935 with the inaugural youth championships, and played annually except during World War II. Officially known as the United States Soccer Federation National Junior Challenge Cup, the competition was renamed the James P. McGuire Junior Champion Cup in 1975, after the late United States Soccer Federation President.